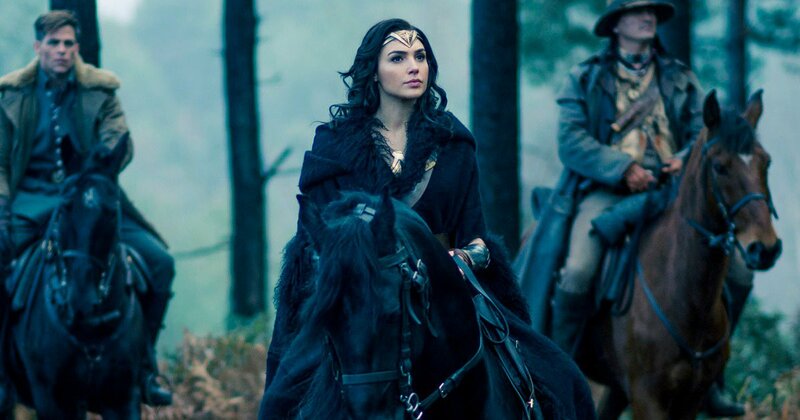 Here's what we know about Wonder Woman 2. It'll reunite star Gal Gadot with director Patty Jenkins, it'll move the action forward to the 1980s, Kristen Wiig is playing Cheetah, and there will be a need for a deserted shopping mall in Alexandria, VA. The superhero sequel is coming to my neck of the woods to shoot scenes at Landmark Mall, a once-great shopping hub that is pretty much a ghost town now. Who knows? Maybe only an Amazonian can pump some life into a dead shopping mall? We'll find out when production moves there in June and July, with some additional filming to take place at undisclosed locations in DC. This will be a big economic boost to the area as movie productions usually bring with them a ton of spending. And of course, DC Entertainment and Warner Bros. are getting their share of incentives for coming. Maybe a new Godkiller sword? The last one got all broken up. I spent A LOT of time as a kid wandering Landmark's halls. I was there a few months ago to hit up Macy's but there wasn't much else going on. Looks like I'll need to make a return visit soon, hang out with the Amazons. Maybe treat 'em to an Orange Julius.